I am an English girl born and bred in the picturesque Somerset countryside. I have nurtured an urge to create beautiful things from fabric and wool ever since I made a pincushion for my mum on Mother’s Day circa 1973! My skills have, thankfully, improved considerably from those first tentative steps into the world of Handmade and, whilst my ‘day’ job is equally creative as a Wedding Photographer, my real passion is for sewing and crochet – from which comes “Sewchet”. In my Twenties I made wedding dresses, ball gowns, tailoring, curtains and soft furnishings for a living followed by five years working for a fashion designer. My four children have all had the dubious pleasure of wearing my creations and all seven (yes, seven) of the homes I have lived in bear testament to my creative genius. Or so I like to think. I am lucky enough to have the luxury of a dedicated studio in our converted loft, which has recently been refitted to accommodate all of my creative needs in the most organized way imaginable. Luckily, I have a very resigned supportive husband. Thank you so much for all your lovely comments! I’m away at Yarndale at the moment with intermittent internet access, so apologies for the tardy response:) Camera is either iPhone or Panasonic point-and-shoot, as they’re more convenient than my pro camera. I just found the poncho pattern…and love it…my question is is this pattern in UK terms or US terms as the stitches are the same but known as other terms here (ie…Treble is UK term for Double in US)? UK terms are used throughout. If it’s the childs Greengate style poncho pattern, please read the previous comments for pattern corrections. Good luck! 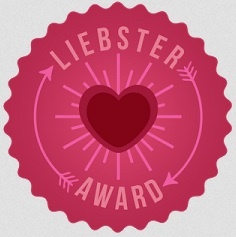 I already display my Liebster Award on my blog – but thank you for thinking of me! Hey there Sewchet! I’m doing a project where I’m following ten exciting, fresh, and interesting bloggers each day for the month of March 2015, and you’re today’s #7! Feel free to come visit me when you can at http://www.thatssojacob.wordpress.com, and follow if you like what you read. Have a good one! Hi Bekki, I’m glad you’re enjoying the blog! I’ve just posted my 100th blog post in a little less than a year so am still a newcomer really. I love the blogging community, such a friendly, supportive bunch! I’m even more a newcomer as I only started blogging at the end of January, but just felt I had to say something as your blog, as well as being interesting, has such a lovely feel to it. Thanks Beth – my only problem is trying to find someone to nominate who hasn’t already got the award! Hya, how come I haven’t come across you before, I found you through the Minerva website. I’m looking forward to diving into your blog. Love your Ascot dress btw. I hope you’ll blog about your crafting space one day. It sounds divine. I would like to personally congratulate you as your blog SEWCHET has been selected by our panelist as one of the Top 100 Knitting blogs on the web. I personally give you a high-five and want to thank you for your contribution to this world. This is the most comprehensive list of top Knitting & Crochet blogs on the internet and I’m honoured to have you as part of this! Although the weather is still hot in Las Vegas, the school year is approaching. I made a tally of my kids backpacks to see how much shopping we have to do before school starts. My daughter’s favorite backpack was very clean but torn and unusable. Thanks to your 1 hour Ikea bag, I was able to stitch this backpack right up. When I made the 1 hour bag, I learned how to stitch through vinyl and thick straps…thank you for helping me upgrade my sewing skills! Fabulous! I’d love to see a photo of the finished article if you get chance to send one please? Are your crochet terms US or British? I purchased the Sew Retro Bag but am having problems converting pattern to inches. do you have a version converted already? No, sorry, just the metric format. There should be no need to convert to imperial. I’m not familiar with what “imperial” means. When I convert cm to inches it is screwy amounts. Imperial is feet and inches before metric cm and metres were invented. Why do you need to work in inches? Well, I had to pick one or the other, not both because they are not interchangeable. If I had written it in inches, the cm would be, as you say, “screwy”. Most of my customers are American and none of them have had a problem. You don’t understand that there are 10mm in a cm and 100cm in a metre?? Anyway, you don’t need to ‘understand’ cm to use them. Just use a tape measure with cm on one side and inches on the other, then you can convert easily enough if you really must! Hi! We’re writing to let you know of a new website that is launching in the coming weeks. We please ask if you could let your followers know we exist! It would be greatly appreciated. 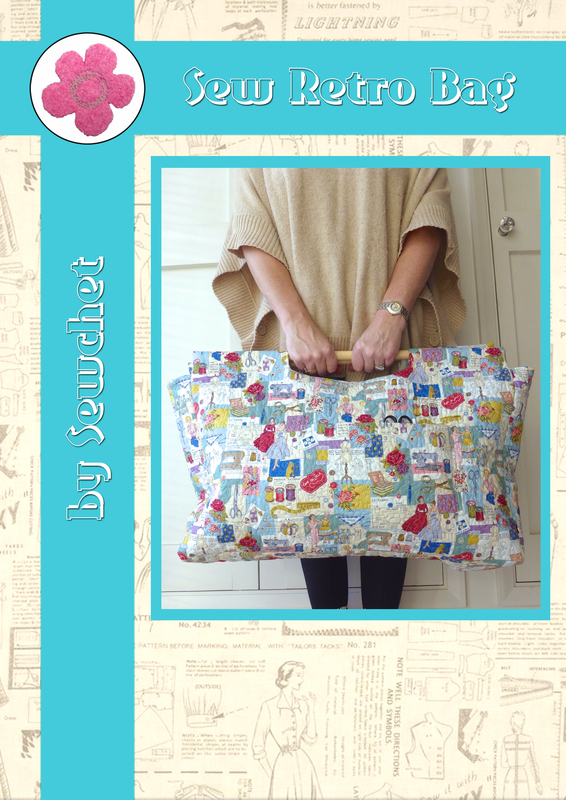 I purchased the Sew Retro Bag PDF pattern this morning. I received my confirmation of payment but NO PDF pattern has been sent to me. As per my email to you, this is NOT a business and although I check my emails regularly, it is every few hours rather than every few minutes. You received your pattern within 4 hours – which some might say is not unacceptable?